Whether you're building up your DevOps team or just starting your organization's digital transformation, these resources will help guide the way. Continuous learning is a key component of DevOps and digital transformation. If you are not learning from your day-to-day operations, your operational mindset will never change. If you don't put effort into pushing the limits of each team member's mind, your team will never reach its fullest potential. To quote Andrew Clay Shafer: "You are either building a learning organization, or you will be losing to someone who is." There are many ways to advance a continuous learning initiative in your organization, such as starting a book club or creating a reading list. Here are ten must-read DevOps resources to start your journey. 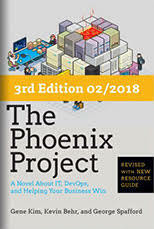 The quintessential start to any DevOps knowledge journey, this book takes you through the transformation of a broken IT organization toward a DevOps culture. Written as a novel, it is an easy read. Give a copy to senior engineers, C-suite types, and brand-new IT staff; they will be able to relate. Far from just a bunch of code samples, this book is a guide to implementing specific examples to bring DevOps into an organization. After reading The Phoenix Project, this is the next logical step in your reading list—it offers years of experiences in one useful book. With this e-book, Heroku cofounder Adam Wiggins changed how the world thinks about software-as-a-service. Design principles outlined here have become de facto standards for implementing software, and it includes excellent guidance for refactoring software and greenfield projects. The e-book is free and updated regularly. This book focuses on how to deploy software faster, with an emphasis on automating tasks and automating first (because you won't have time to go back and automate later). 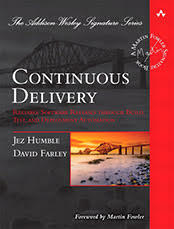 When people say, "Shift left," they are talking about executing earlier in pipelines described in this book. This is a DevOps must-read. 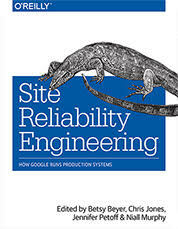 I like to think of this collection of essays from the good folks running things at Google as a reference for how to do things the right way at enormous scale. The book won't offer solutions for every organization; most probably don't have Google-sized problems. Running your gigabyte-sized database across distributed infrastructure optimizes for availability. But it will cost you more than a handful of geographically diverse replicas. This book helps readers become big-picture, business-minded change agents. An all-phase guide to planning, organizing, implementing, and measuring the lean business, it's great for leaders and managers alike. Regardless of how successful your organization might be, this book will change how you look at things. Most people agree that culture is the most critical component of DevOps. 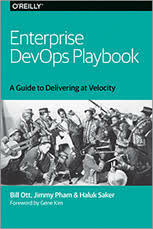 This collection of essays from people across the DevOps spectrum is a community-produced companion to Jim Whitehurst's 2015 book, The Open Organization. This is an accessible, inspirational book from a diverse group of authors. The chapter I most recommend is "Assuming Positive Intent when Working across Teams," by Jonas Rosland. 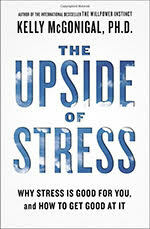 This book helps you learn to manage and embrace stress as a good thing. It explains how to turn stress-induced adrenaline, angst of the unknown, and feelings of nervousness into an opportunity to thrive rather than something to fight through. In fact, it suggests that stress can even make you happier when handled appropriately. How much better would your life be if stress turns out to be good for you? In DevOps, you should not have adversaries. But in business you will, and chances are, many of those adversaries have read The Art of War. Applying the principles of war from a Chinese military treatise from the 5th century BC to DevOps may seem like a stretch, but if you think of your next outage as your enemy and your pipeline as your supply line, Sun Tzu's ancient work starts shaping into an interesting strategy guide for almost any situation. Are there other resources you think would help folks on their DevOps journey? Feel free to submit a pull request to the DevOps-README.md GitHub repository or add a comment below. Thank you for such great reference content! Is "DevOps" doing to "Systems Administrator" what "Help Desk" did to "Desktop Support"? Basically, blurring the line between someone who administers systems: servers mostly and developers? Thanks.